What’s that sound? It’s your favorite childhood video game coming out to play! 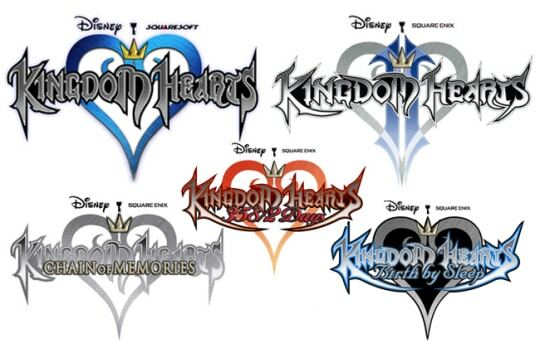 Normally with ongoing franchises like Kingdom Hearts, players immediately launch into their favorite game, what they like about the story (if they can actually decipher it), and what their opinions are on gameplay and overall effect. Here though, we are going to take a step back from out old obsession and look at from a different perspective, and a different topic. Let’s question if the game we have been playing since we were nine is really what we think we’ve been playing. The Kingdom Hearts franchise has been a household name in console games for many years. The action RPG game, which came out in 2002, has 11 game installments that cross over into handhelds as well as console platforms. The collection includes everything from sequels to prequels to re:coded editions to spin offs and to recently new revamped HD renderings of the franchise. It has also crossed into other media. Looking back into the games though, I had to ask myself, is Kingdom Hearts really a RPG? Does it fall into how gamers would define and describe a RPG video game? The overall definition of a RPG varies depending on who you are asking and what of game are you asking for. RPGs started out as table top games where the user was allowed to control almost every aspect of the universe and storyline and decide on not only on how to play but where the game was going. As the genre grew into more structured forms of play and eventually onto gaming screens, the definition became a little more refined. Normally RPG games are in a fantasy world/universe where the player is allowed to customize their character and interact with the world around them. Customization can include being able to name your character and choose their race/class, picking and adjusting their stats, determining who is in your party, and equipping moves, spells, weapons and clothing. There is usually over arching main quest that follows a strict storyline, which can be affected by the players’ choices and actions, along with other side quests and missions. 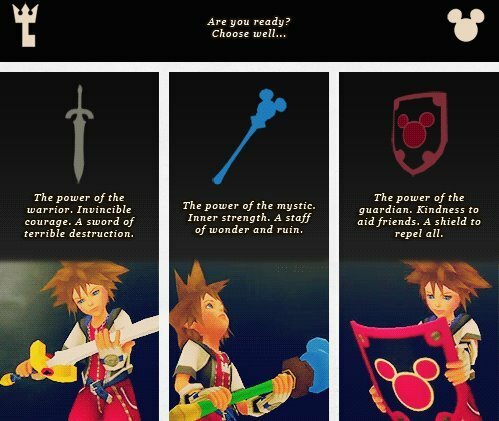 At first glance, Kingdom Hearts appears to be a straight up RPG. You are able to adjust your basic stats at the beginning of the game by choosing what to focus on, strength, magic, or defense. However, once you start the game things seem to change. You aren’t able to customize your character. You are either playing as Sora, Roxas, or one of the other main characters depending on which version you’re playing. You are not able to adjust the characters clothing nor are you able to adjust stats from there on out. The game also doesn’t allow for character choices in conversations. There is a straight storyline (if you can remember it and keep track) that the player cannot deviate from, though they are welcome to ignore it for as long as possible you won’t get far. 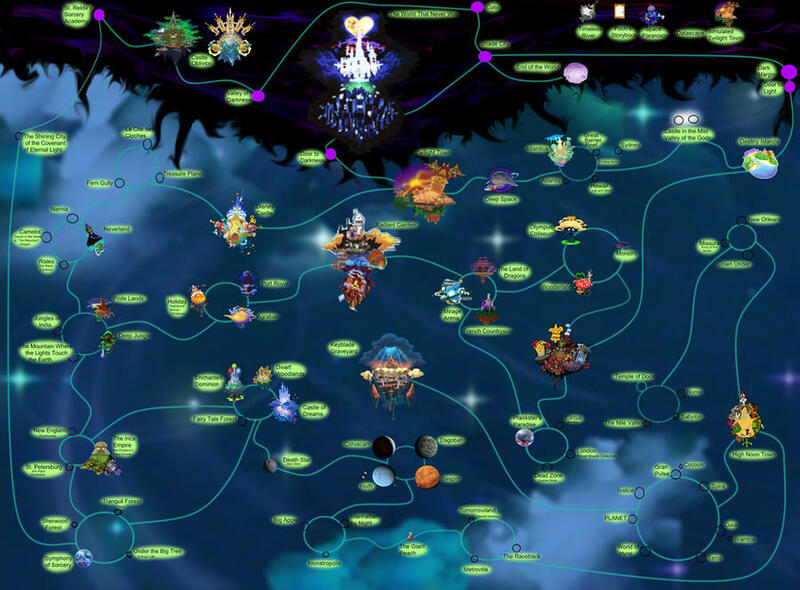 You can explore the different worlds within the game but only after you unlock them, and depending on where you are in the story, you might not be able to go back. Although there are still options for the player to shape the main character during the story, some players would say that Kingdom Hearts gave a “stab in the back to the player, telling him or her that they have no place in the story because they are controlling someone with a pre-set persona”. Player’s aren’t allowed to choose hairstyles and race or classifications. They are just given a pre-set person to control and are only able to choose a basic power foundation in the beginning of the game as said in the previous paragraph. Not being able to adjust the player’s character to the specifications and ideals of the player gives the argument that Kingdom Hearts shouldn’t be considered an RPG, but just a plain adventure game. On the other hand, looking at what players can adjust and manipulate throughout the story helps side with the premise that Kingdom Hearts is truly an RPG. Some say that at its heart, an RPG is “about building and shaping your character, your party, your avatar”. Players are able to use their creativity to mold Sora, or whomever they’re playing including their party members, into what they want out of the character. They can choose make Sora heavily magic based, or just a melee sword swinging machine. 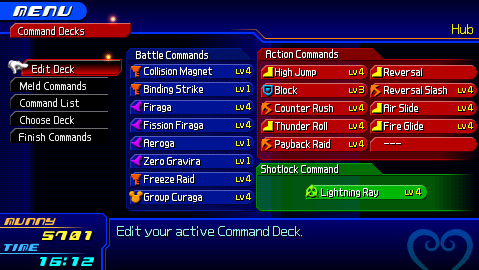 Players can also adjust abilities in the sense that you can upgrade the character with different moves and add-ons. Even though you are in a sense given a pre-programed protagonist, the player’s ability to shape the games characters is, at the games core, the reason why it can be considered an RPG. Also consider the fact that genres are just constructs that gamers created to help categorize and stereotype games based on certain aspects and features of the game. Does looking at Kingdom Hearts from an Adventure genre change how you see or play the game? As a player, when I play an Adventure game, I don’t take on the role of whatever character I’m playing. I view the game and the world from a third party perspective when an inside look by haven gained control of a character. Playing an RPG puts me in the mind set of be immersed into the game and character I am playing. I feel as though I am Sora when playing Kingdom Hearts, and that his goals are my goals. That said, would labeling KH as an adventure game change the true game experience for you from if it was an RPG? Does anything but your perspective of the game really change? Should KH keep its genre, or should it change it? Or do genres really not mean anything, just connivence for categorizing and advertising, because at the end the day, a good game is a good game. Labels can’t change that. ← What’s a Battle Without Death?